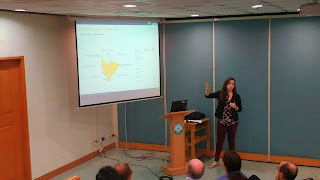 Last September 9, 2016, Dr. Alexis Fillone, along with Dr. Jose Bienvenido Manuel Biona from the Mechanical Engineering Department and Dr. Krista Danielle Yu from the Economics Department, welcomed visiting professors and PhD candidates from University College London and University of Oxford, under the Newton Fund initiative. It is a project intended to strengthen research and innovation partnerships between the United Kingdom and emerging knowledge economies. 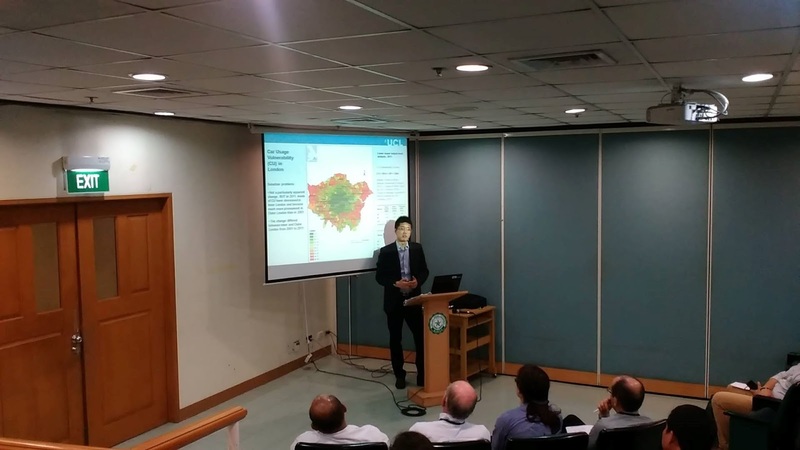 Part of it is the PhD research exchange program where PhD candidates from the UK conduct their research in Metro Manila focusing on issues related to transport and flooding. During their stay here in Manila, UCL PhD candidates Mengqiu Cao and Beatriz Lira, assisted by their adviser Dr. Robin Hickman, conducted a travel discourse survey on a mix of students, faculty members, and staff as their respondents, while Nihan Akyelken, Anna Plyushteva, and Dr. Tim Schwanen from the University of Oxford interviewed residents living in the barangays in the Leveriza area. The UCL group’s survey asked on the travel characteristics of people going to the University, as well as their opinions on various transport-related issues. 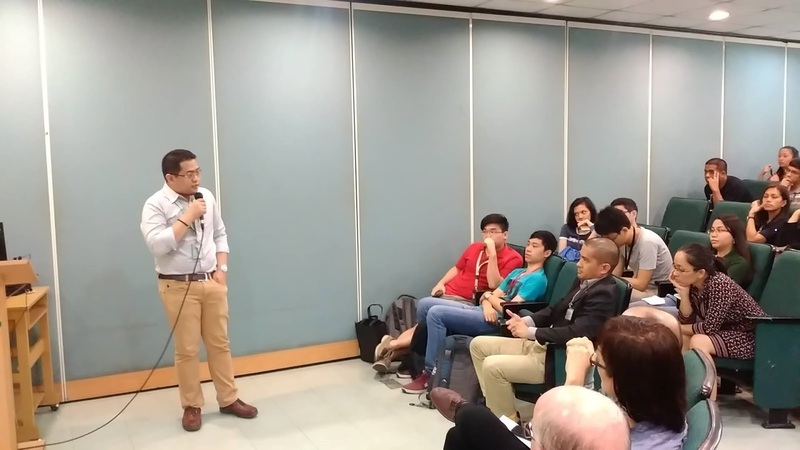 The latter’s interviews focused mostly on the nearby barangays’ vulnerability to transport-related problems like traffic congestion as well as flooding, and the health implications of both. 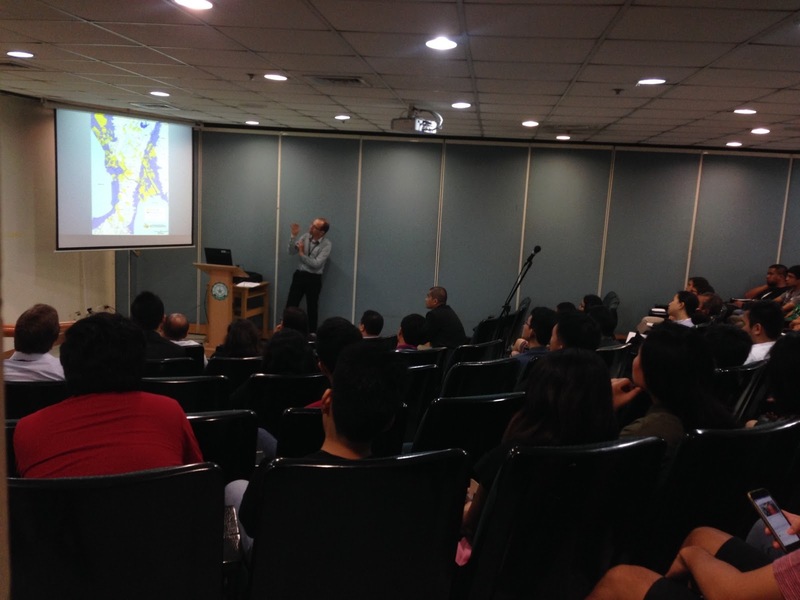 On the 14th of September, 2016, the visitors were invited to present at the Transport Sustainability and Resilience Research Forum, held in room 407 of the Yuchengco Bldg. They, along with Engr. Neil Stephen Lopez from the Mechanical Engineering Deparment and Engr. Raymund Paolo Abad from the Civil Engineering Department, gave presentations on their respective researches. The following is a list of presentations given. 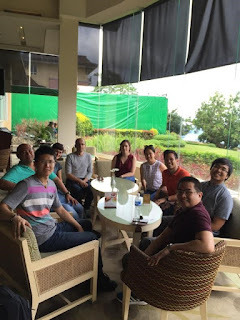 On the same day, the visitors attended a meeting with professors and researchers from Central Philippine University in Iloilo City, University of Pangasinan in Dagupan City, and Saint Louis University in Baguio City. They discussed transport issues in the cities of Iloilo, Baguio, and Dagupan which can be considered in the phase II of possible collaborations similar to the Newton Fund project between De La Salle University and Universities in the UK. 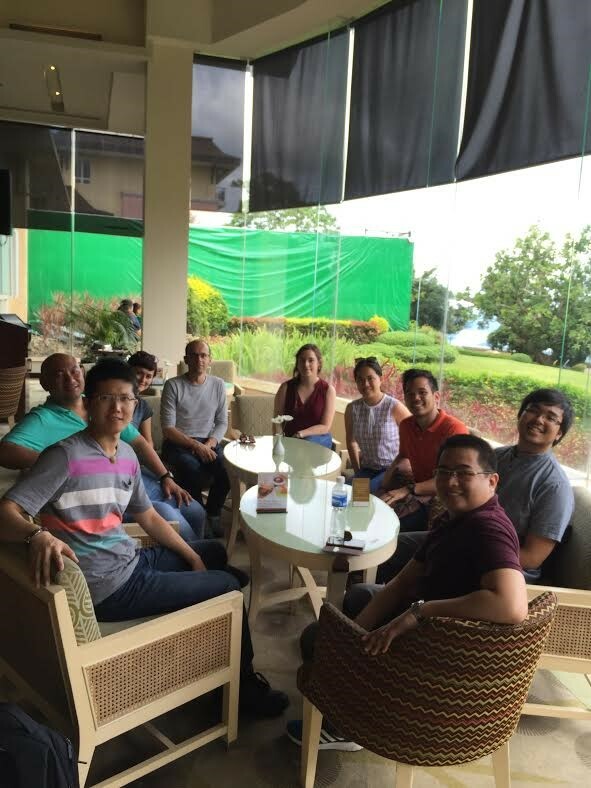 On the 16th, they were invited to a meeting at the Science and Technology Complex in Binan, Laguna. The terms of the PhD research exchange program were discussed with the PhD candidates from DLSU, Engr. Neil Stephen Lopez, Engr. Raymund Paolo Abad, and Engr. Krister Ian Daniel Roquel from the Civil Engineering Department. Documentary requirements needed before the research exchange as well as the expected outputs afterwards were discussed. 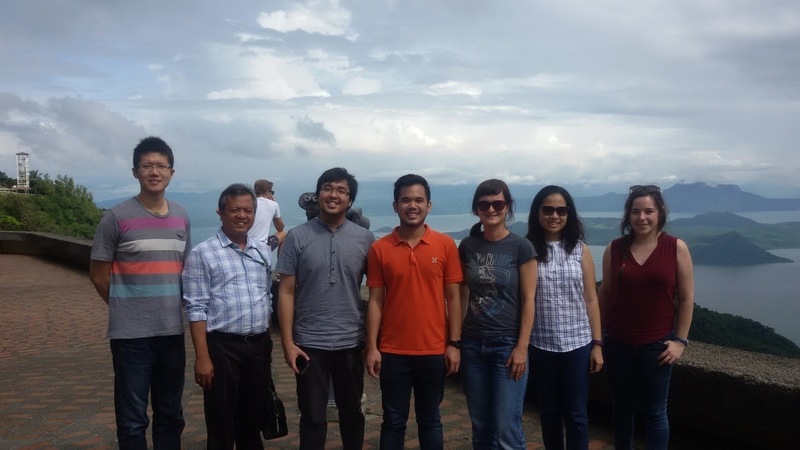 The visitors from UK were subsequently given a quick tour of the campus and the nearby city of Tagaytay. Thanks to Mr. Roquel for the write up. CE Department Chair, Dr. Lessandro Garciano and Prof. Andres Oreta delivered lectures on Earthquake Engineering at Xavier University, Cagayan De Oro City on Oct. 1, 2016. They were invited by DLSU MSCE alumnus, Engr. Dexter Lo who is also the founding director of the XU Engineering Resource Center. 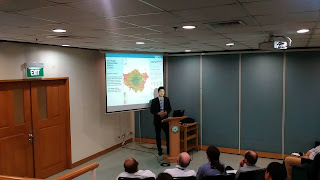 PhD students from University College London also presented lectures on the same event which was attended by XU civil engineering students and faculty members. Oreta and Garciano are presently engaged in a collaborative project, "Safer Communities through Safer Schools" or SCOSSO (meaning "shake" in Italian) where seismic assessment of schools at CDO are conducted. The project is with UCL as the lead partner and XU ERC as cooperating institution. Before going to CDO, the SCOSSO team composed of UCL, DLSU and XU ERC members met at Cebu City during the 6th ASIA Conference on Earthquake Engineering (6ACEE). CE faculty Prof. Andres Winston Oreta, Assoc. Prof. Lessandro Estelito Garciano (current CE Dept. 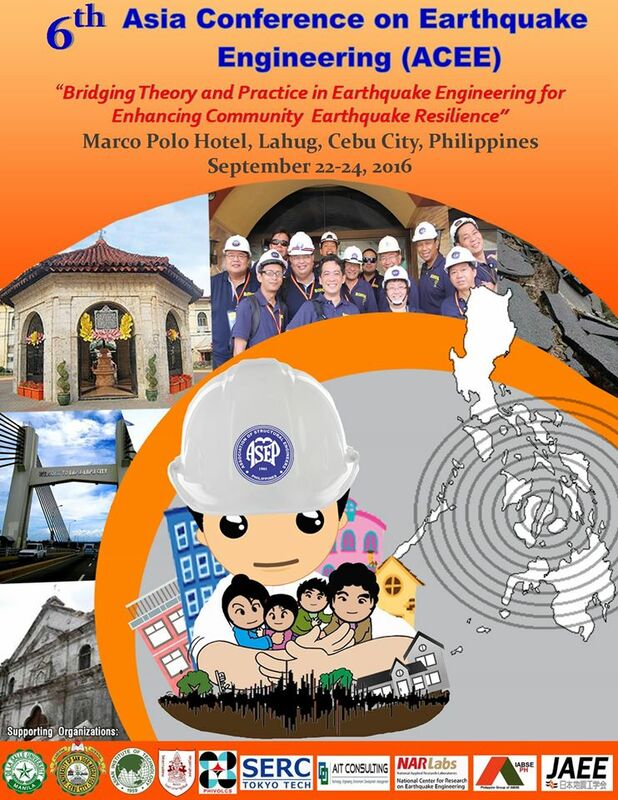 chair) and DLSU CIV graduates actively participated in the 6th ASIA Conference on Earthquake Engineering (6ACEE) held at Marco Polo Hotel, Lahug, Cebu City last Sept. 22-24, 2016. 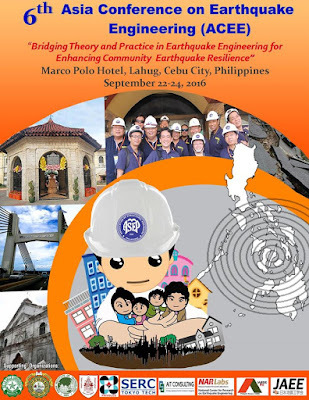 The 6ACEE was organized by the Association of Structural Engineers of the Philippines. The keynote speech delivered by Sec. 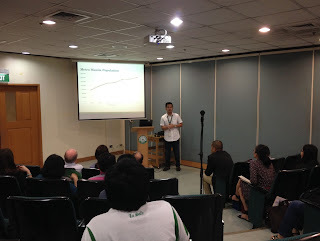 Emmanuel De Guzaman of the Climate Change Commission. Dr. Ernesto De Castro (PICE National President delivered an inspirational message. The conference was attended by more than 320 delegates from Japan, Thailand, Taiwan, India, Australia, New Zealand and the Philippines. Nine keynote lectures by Dr. Renato Solidum (PHIVOLCS), Dr. K.C. Chang (NCREE, Taiwan), Dr. Rolando Orense (U. Auckland, NZ), Prof. Fumio Yamazaki (Chiba U., Japan), Prof. Dina D'Ayala (UCL, UK), Prof. Pennung Warnitchai (AIT,Thailand), Carlos Villaraza (ASEP), Dr. William Tanzo (Vibrametrics) and Prof. Osamu Murao (Tohoku U., Japan) were delivered. 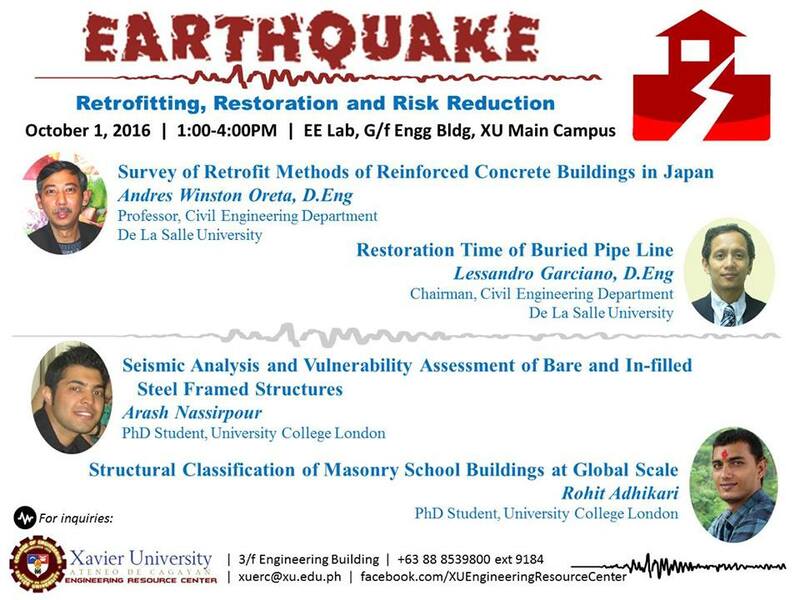 More than 70 technical papers were presented in parallel sessions and in a special session organized by the National Center for Research in Earthquake Engineering (NCREE) of Taiwan. DLSU CE Department is a supporting organization of the 6ACEE. Oreta was the chair of the 6ACEE International Advisory Committee (IAC) and chaired the meeting with the IAC members. 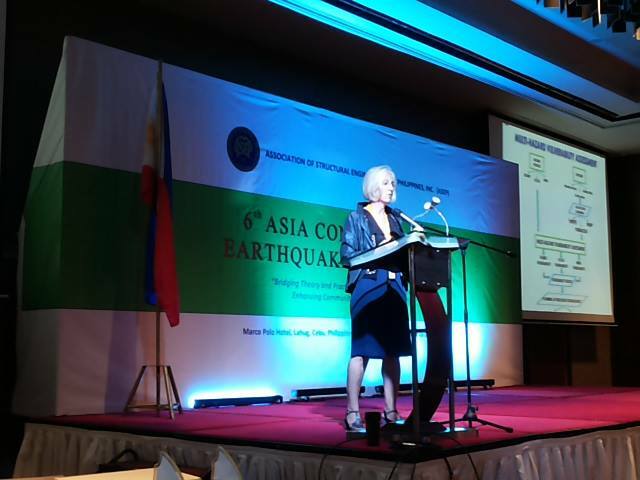 Garciano who is also an ASEP director served as a session chair in the parallel sessions. Oreta and Garciano were also members of the 6ACEE Technical Committee. (BSMS-CE graduate) presented his paper co-authored with Dr. Jonathan Dungca (GCOE Dean) entitled “Integration of Site Effects to Probabilistic Seismic Hazard Analysis for Estimation of Peak Ground Acceleration.” Meanwhile, part-time faculty, Engr. Adam Abinales delivered a lecture to students and young engineers on "Seismic Retrofitting of Concrete Structures for Environmental Sustainability." 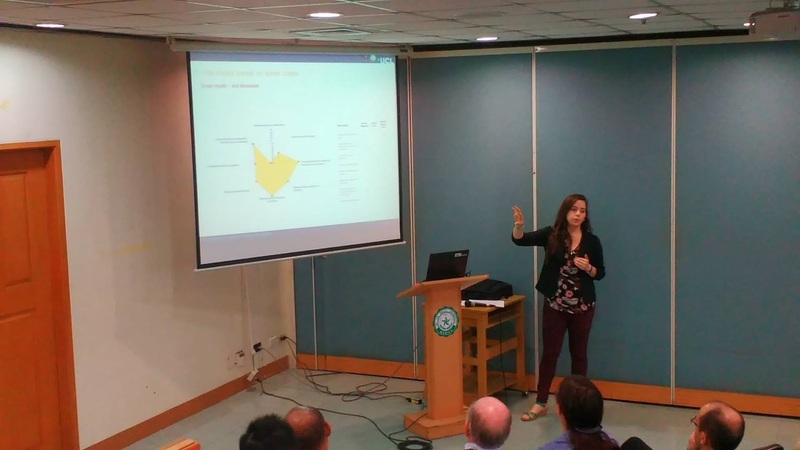 Oreta and Garciano are also co-authors in one of the keynote papers on “Multi-Hazard Risk Assessment of Priority Cultural Heritage Structures in the Philippines” which was presented by Prof. Dina D’Ayala of University Ciollege London of UK. 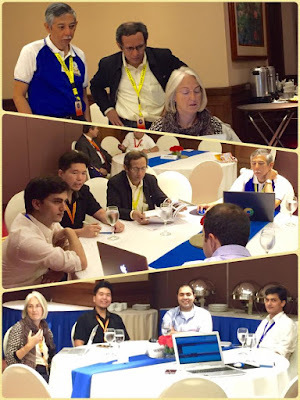 In a meeting chaired by Dr. Oreta with the IAC members and ASEP Board, it was decided that the 7th edition of the ACEE or 7ACEE will be hosted by the Asian Institute of Technology and AIT Solutions with Prof. Naveed Anwar and Prof. Pennung Warnitchai of AIT as the key persons. See you on Novemeber 2018 at Bangkok, Thailand. Last August 29, 2016, twenty-three (23) civil engineering students of De La Salle University participated in this year’s DLSU - Tokyo Tech Student Exchange Program. The said 10-day student exchange program is an annual collaboration hosted by the Tokyo Institute of Technology in Tokyo, Japan with an objective of strengthening the ties between the DLSU students and the Tokyo Tech students and professors for possible future collaborations. Three (3) DLSU faculty members from the Civil Engineering Department, Engr. Ronaldo Gallardo, Dr. Mary Ann Adajar and Engr. Richard De Jesus, along with Tokyo Tech Philippines Office Staff Ms. Ioulany Esguerra and Ms. Dianne Buagas accompanied the students. The group had a chance to visit the Tokyo Institute of Technology (Tokyo Tech) and to know more about Tokyo through their short presentation. 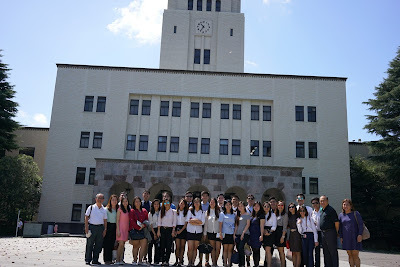 The tour began by gathering and having a short introduction of the participants to the Tokyo Tech professors and students who accompanied them. The tour went on by going to the Centennial Building then to the Main Building in which there was a passageway full of wilted sakura trees. It continued by visiting their design and manufacturing building and their co-op canteen and bookstore. The students went to witness their most prized possession which is famously known as Japan’s fastest supercomputer called TSUBAME 2.5 (Tokto-tech Supercomputer and UBiquitously Accessible Mass-storage Environement). It was designed to provide computations and storage resource for research such as processing the simulation of earthquakes, wind patterns and many more for academic purposes of Tokyo Tech and as well as collaborated projects with other universities in Japan. Another prominent location in the university is the Cheesecake Library in which it has a similar architecture to that of a cheesecake. One can really see the advancement in technology and discipline being practiced inside the library. At the end of the visit, the Tokyo Tech students and professors hosted a small welcoming party where the participants were able to mingle with the students and have a short exchange of cultural performance. 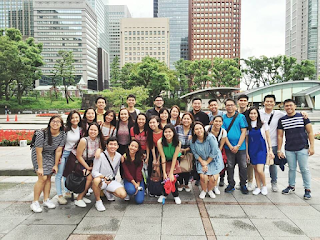 The following days were composed of visits to other parts of Tokyo such as Odaiba in which the DLSU students visited the Miraikan or The National Museum of Emerging Science and Innovation which explored on understanding the world of today and its future. Odaiba was also packed with malls where one can enjoy shopping from one mall to another. The advancement in architecture and technology of Japan could be seen throughout the whole city as the students visited places such as Ginza and Akihabara. Truly, Tokyo is a mixture of history and technology. 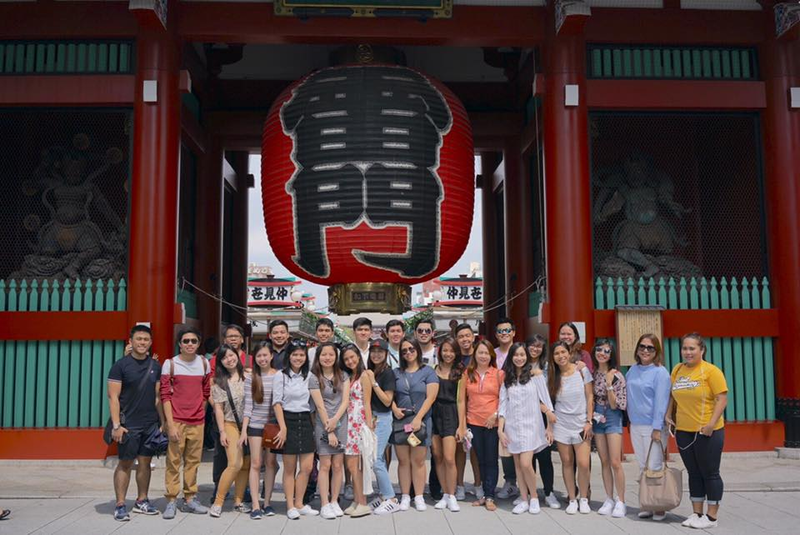 In the students’ visit to places such as Asakusa and Harajuku, they were able to see the value of culture to the Japanese people. Several temples such as the Sensoji Temple and Meiji Jingu showed another side of Japan, in which ancient temples were properly restored and flocked by people to pay their respects. One can make wishes through their wishing tree or prayer. It was noticed that they would impose several rules such as eating within the establishment area of where food is bought to avoid littering. At the last the day before the flight to Manila, the group were toured around the Ebara Fujisawa District Plant. Ebara Corporation is a company divided into three divisions that specializes on machinery such as water pumps as well as environmental services. The plant consists of several warehouse that makes fluid pumps of different sizes and uses. The discipline and organization of the manufacturing of such machinery were seen as the group toured from one warehouse to another. The dynamic operation in the warehouses showed the quality assurance and quality control in their products and services. The DLSU participants had the chance to roam around some of the company’s warehouses with the assistance of their generous staffs. The students were able to witness the different processes and stages that the products undergo from manufacturing to inspection. 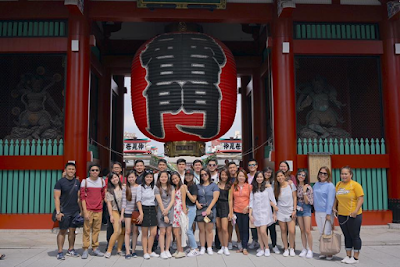 Overall, the student exchange program provided an opportunity to the DLSU participants to learn Japanese culture and an avenue to meet some Tokyo Tech students and professors for possible future collaborations. The program brought many insights to the students into becoming reflective lifelong learners through the 10-day student exchange program. CE undergrad students present papers at WOW2016!